We’ll be back in 2014! 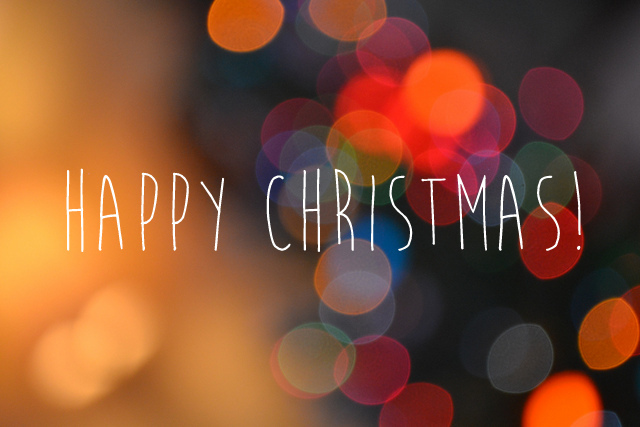 The Common Good team wishes all of our blog readers a blessed and restful Christmas! We’re going to be taking a break from blogging for a while (to put our feet up and enjoy the sunshine) but we will be back with fresh and inspiring content to kick off the New Year! How far are we from realising Madiba’s dream of a reconciled nation? According to the Institute for Justice and Reconciliation, we’re further from it than we may think. Sindiso Mnisi Weeks shares her heartbreak and her hope. Last week I cried numerous times. It started on Thursday morning when news of the latest Institute for Justice and Reconciliation‘s (IJR) reconciliation survey results were publicised reflecting devastating findings amidst some hopeful ones. I wept just as I weep through every movie about slavery, colonialism and apartheid, wondering how it is possible for the humanity of black people to have ever been worth so little to some and when the suffering of people of colour in this world will end. Though I’ve seen many distressingly ahistorical comments made by (white) people on News24 and other such sites, I’ve tried to comfort myself that, firstly, it’s people with radically unfavourable views who are more likely to comment on any news site and, secondly, they’re really the minority. This survey says that they are likely a significant minority and that’s scary and extremely sad to me. How, almost 20 years after the sheer brutality of apartheid officially ended, could some South Africans still think that it was not wrong? While my heart was still bleeding from this news, I learned with shock that Nelson Mandela had died … uTata was gone! I could not suppress the uncontrollable tears as my mind registered the irony in Madiba – who had suffered and defied some of apartheid’s worst injustices – dying on the same day that the IJR reported that some among us thought it wasn’t a bad thing. Madiba was dead. And the IJR reported that reconciliation in South Africa was, in some ways, a failure. After all, as the IJR reported, at this time, more South Africans have little or no contact with people of different races in their day-to-day lives than do have such contact on a regular or constant basis. With most black South Africans still being poor and confined to impoverished townships and rural areas and more than 73% of white people living in the two highest economic brackets (according to the living standards measure), there isn’t much intermingling. Therefore, the ability of improvements in class to simultaneously increase interracial interaction is unable to work its necessary magic. And, as if that weren’t bad enough, tragically, only 27% of white people (compared with much higher proportions of other race groups) reported that they were interested in learning more about the cultures of other groups, and only 11.7% of white people (again, the lowest of all race groups) said they desired more interaction with people of other races. So, you see, connecting the IJR report and Madiba’s death, I could not help but weep. Madiba was our primary, national symbol of reconciliation. Did that mean that South Africa’s hope of succeeding at this evidently near-impossible task was dead? Previously, I blogged about how I came to marry my ‘umlungu’. What is glaringly absent from that account as we remember Nelson Mandela is the fact that Madiba and his comrades were a large part of making that happen. 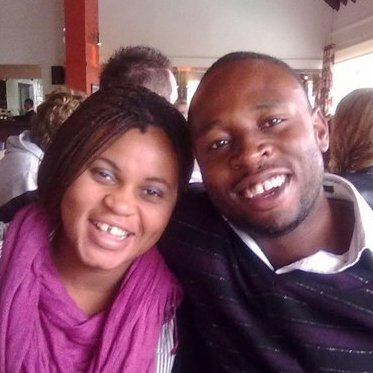 Were it not for Madiba’s unrelenting commitment to my freedom as a black person in South Africa, I could not have matriculated from a good enough school to enable me to then later study in the UK where I met my ‘mlungu’, Dan and I could not have been married in South Africa and we certainly could not have lived there together, freely, and openly these last two years. The Immorality Act would have rendered our love a crime. Regardless of how grateful I am to uTata, however, our hope as South Africans is not in Madiba – not by a long shot. Though he lived a life that reflected God’s forgiveness, grace, commitment to justice and love, as his many, self-professed mistakes and death at the ripe old age of 95 remind us, he too was a mortal man. As Christians – and the whole world – our hope is in Christ. He is ultimately the only one who can reconcile us. And he is committed to doing so, if only we will allow Him. A silver lining can be pointed to in that, as the IJR survey reports, over 67% of South Africans of all creeds place great confidence in religious institutions. Thus, though the Church is made up of fallible human beings, it is God’s primary, chosen vehicle for delivering hope to an otherwise hopeless world and there is room for it to do so in South Africa. The IJR concludes that what is needed to remedy our ‘unreconciledness’ is ‘radical reconciliation’. What can be more radical than this message of reconciliation in the Bible?! We desperately need Christ’s reconciliation to come to South Africa, a place that needs it in many ways more than any other. Particularly during this period of remembering Madiba’s sacrifice, which coincides with the season in which we remember Christ’s even greater sacrifice, I think that South African Christ followers need to speak that message loud and clear – in words and in deeds. – Sindiso Mnisi Weeks is a senior researcher at the Centre for Law and Society at UCT. She and her husband, Daniel, were members of the Common Ground Church Rondebosch AM congregation until recently relocating to the USA. It’s been a sad couple of days as we’ve mourned the passing of one of the greatest gifts God has given us as a nation – Nelson Mandela – a man who exemplified Christ-likeness in his servant-hearted leadership, his unprecedented forgiveness and his humility. But as we pay tribute to these rare qualities, we may be at risk of forgetting the revolutionary, the rebel, the man who shook things up. In so many ways Mandela resisted the status quo, holding up a different vision of the future – a future he wasn’t afraid to overturn a few proverbial tables to fight for. This version of Mandela is maybe one we’re not so comfortable with. We’re much more at ease with the image of him gently swaying side-to-side in a Springbok jersey, just as we often prefer a view of Jesus as the ‘meek and mild’ shepherd, as opposed to the revolutionary who went up against an evil system to fight for our eternal freedom. 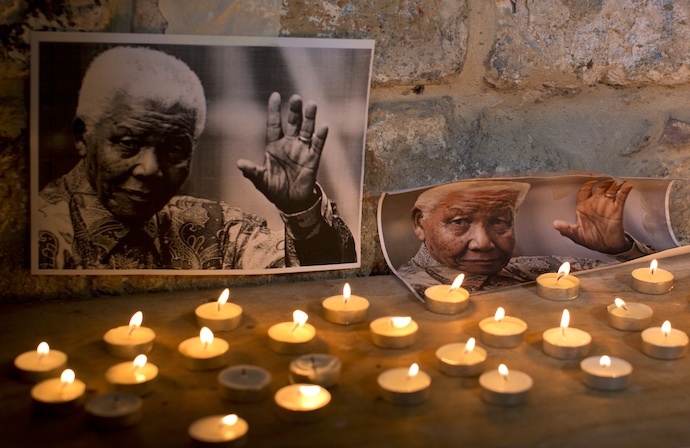 The aim of this post isn’t to compare Madiba with Jesus – how could we even try to do that? – but rather to show that the man we’re honouring today and the Saviour we serve as Christ-followers were both ultimately committed to justice and were even willing to suffer and die for it. 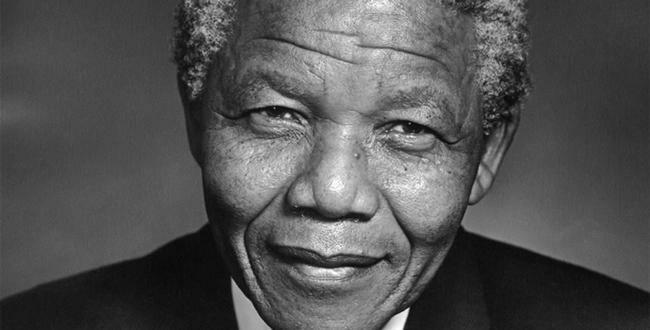 Yes, Madiba was a champion for peace, yes, he was a great leader, yes, he showed immense forgiveness – all of these are important things to remember about him, but we should never forget that his goal was not peace and harmony for its own sake. No, his goal was always justice. One story which sticks out as an example of this is when, in 1985, P.W. Botha offered to release Mandela if he ‘unconditionally rejected violence as a political weapon’. Mandela responded in a statement saying, “Only free men can negotiate. Prisoners cannot enter into contracts. I cannot, and will not give any undertaking at a time when I and you, the people, are not free. Your freedom and mine cannot be separated.” He wasn’t willing to negotiate conditions for a freedom which should be his (and all South Africans’) as a matter of justice, even if those conditions would guarantee his immediate release. After gaining the things he’d fought so hard for, and becoming South Africa’s first democratically-elected president, you would’ve almost excused Madiba if, after 27 years in prison, he’d decided to live out the rest of his days comfortably afloat this legacy. After all, hadn’t he earned some time out? No, Madiba’s life’s mission was big picture justice – and on that score, there was so much more to be done. His view of justice was small enough to show compassion to an orphaned child, but big enough to change policies to ensure effective treatment for all with HIV/Aids. In Mark Gevisser’s obituary for Mandela in the Mail & Guardian, he tells the story of when, as heritage curator at Constitution Hill, he was responsible for showing Mandela the Old Fort prison cell in which he was held. He describes how Mandela looked a bit bored – and that he only lit up and started asking questions when someone mentioned that there was a new treatment and research centre for Aids across the road. Big picture justice. On Sunday, 15 December, Madiba’s body will finally be laid to rest after 10 days of public mourning. And in the days, weeks, and months that follow the media tributes, the TV shows and the adoring Facebook updates dedicated to our Tata will start to turn to other world events and news of other public figures. We will forget – even while he was alive we forgot – exactly what it was he fought so hard to see realised in his lifetime. We will forget that justice was his mission. Big picture justice. And that big picture justice should be part of our life’s mission too – not because Madiba cared about it, but because Christ does. We give thanks for Madiba, but we need not look beyond ourselves to see what God has entrusted to us and the many ways we can bring His kind of big picture justice to the people around us. It might mean paying generous wages or building friendships across comfort zones. It could be as small as a visit to someone in need or as big as a campaign for a cause you care about. Our opportunities to bring God’s justice into the world come in all shapes and sizes. The only constant is that they rely on us. Our country still has a long way to go on its path towards justice for all, social reconciliation and equality. The work is not yet done. Jesus wants to use us, as he used Madiba, to be part of restoring the world. So are we prepared to shake things up, in honour of Madiba, in the name of justice and, ultimately, in the name of Jesus? Rest in peace Tata. Thank you for your example. We are so incredibly grateful. Give your Christmas shopping a twist – Give Hope! 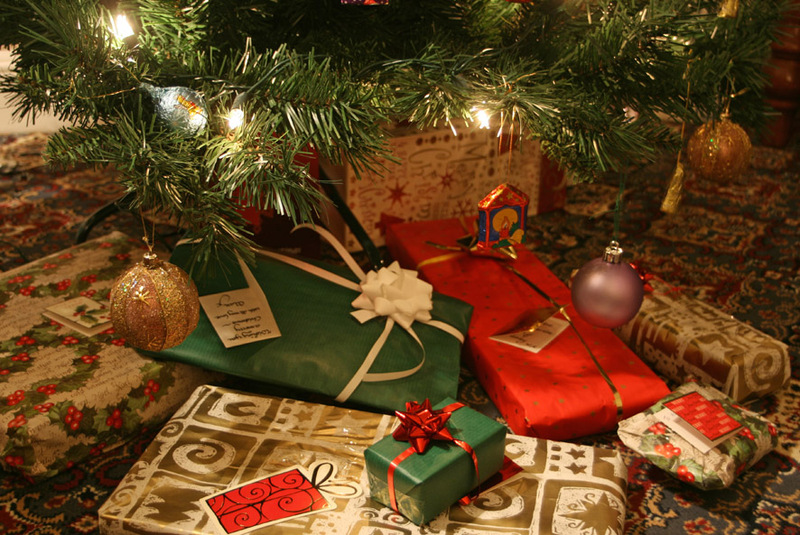 Every year millions are spent on Christmas presents as we all try to find the perfect gift for our friends and loved ones. The tragic part? These gifts, which we often sacrifice hours in crowded malls to buy, are often forgotten by Boxing Day or, gulp, unwanted and sent to the back of a cupboard. Yes, it’s the harsh truth. But what if instead of spending our money on socks, soap and chocolate boxes, we spent it on gifts that will make a real difference in the lives of those in need? Not being huge fans of shopping mall madness – and having re-gifted our fair share of Christmas presents in the past (not yours Auntie Betty!) – we’re really excited about the concept behind Give Hope cards. There are six beautifully illustrated cards to choose from and the money used to purchase each one will go directly towards supporting a specific Common Good initiative, like buying a book for a literacy programme, sponsoring a food parcel for a family or creche, or enabling someone who is unemployed to attend a beginners computer course. Here’s an example of how it works: You stop by the Common Ground cafe during the week, or the Common Good involvement desk after a Common Ground Church meeting, and purchase a card (prices range from R50 to R200). Inside the card is space for you to write a personal message, as well as a blurb on how the money used to purchase the card will be meeting a real need. You then give the card to your Uncle George, for example, but the real gift will be going where it’s needed most! Sound like a grand shopping plan? We think so. Click here to download the Give Hope 2013 catalogue. What does the festive season mean to you? We asked three couples to share how they’re celebrating. How and where are you spending Christmas this year? We will celebrate this Christmas in Lusaka, Zambia, with my (Andre’s) mom and other siblings. It’s the first Christmas with my mom and other siblings in many years, so it’s going to be very emotional. We celebrate Christmas by exchanging gifts and we invite those without family to join us for lunch because we believe that Christmas is a good opportunity for us to show love to those who desperately need it. Traditionally, I remember as a young boy that my parents would use Christmas as an opportunity for family reunion and reconciliation. Lots of people in my country view Christmas as the opportunity to reconcile with friends or family and show love to those who have no parents. Whenever we hear the word Christmas what comes to mind is God’s provision, generosity and His unconditional love. Why provision? Because there was no other way for humankind to reconcile with God after the fall if not through the birth of Christ – His life, death and resurrection. Why generosity? Because God gave us Jesus as a free gift that we did not deserve. Why unconditional love? Because we bring nothing to the table but our sins. So for us whenever the word Christmas is mentioned we don’t just see a baby being born, we see God’s generosity and His free gift of salvation. Do you have anything planned to make this Christmas more meaningful? Yes! We bought a couple of Give Hope cards from Common Good for our friends in Lusaka. We have also bought gifts for three kids we know who have no parents. We will have lunch with them at my mom’s place and celebrate with them. 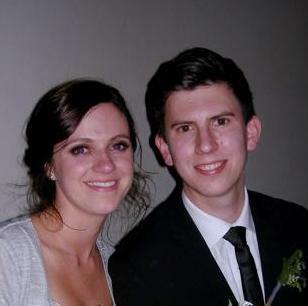 Andre and Sabrina serve on the leadership team of Common Ground Church Wynberg. They have two young sons. How would you sum up the meaning of Christmas? The basis on which we approach Christmas is epitomised in Isaiah 9:6 – ‘For to us a child is born, to us a son is given, and the government will be on his shoulders. And he will be called Wonderful Counselor, Mighty God, Everlasting Father, Prince of Peace’. This helps to explain God as we have experienced him as Spirit, Father and Saviour. While as family we may worship in separate communities and in different ways, as Christ-followers we stand agreed on this truth that Christmas is a time for spiritual affirmation and celebration. Are there any traditions you follow at Christmas time? We spend Christmas Eve together as a family because we are all involved in church on Christmas day in our various places of worship. We take time to go around the table taking turns to affirm one another. The Christmas season is also a time of a break for us when we can catch up and spend time with friends. We have in the past, and plan to this year, open our home on Christmas day to others who may not have family to eat and hang out with. 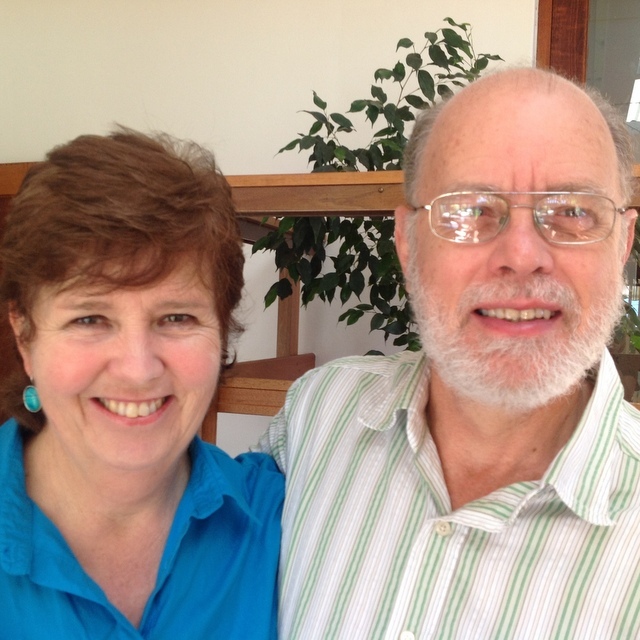 George and Bev serve on the leadership team of Common Ground Church Bosch AM. They are both medical doctors. What is at the heart of Christmas day for you? To us, Christmas is a time to celebrate the greatest gift – Jesus coming to the world to save us. This is something we are constantly grateful for but at this time of the year it’s wonderful to celebrate this with our family and community. It’s also a time to reflect on our other blessings like our family and friends, and make an effort to show them how much they mean to us. How are you planning to spend Christmas this year as newlyweds? We’ll be spending our first Christmas together in our home in Cape Town and we’ll have Ian’s family staying with us. We love this time of the year and will be doing the usual Christmas activities – putting up our first Christmas tree, baking mince pies and spending time with family and friends. We want to make sure that Christmas becomes a time of reflection, rest and fun in our family. We’re looking forward to doing some reading together on Christmas Eve. We’ll look at the Scriptures that point towards Jesus’ coming and the story of His arrival. Sometimes we need reminding of how absolutely amazing that night was. We can’t wait for the Christmas morning service at Common Ground Church and our present-opening and Christmas lunch that will follow. Ian and Tammy serve on the leadership team of Common Ground Bosch PM. They got married earlier this year. What does Christmas mean to you? Do you have any ideas of how to make it more meaningful? 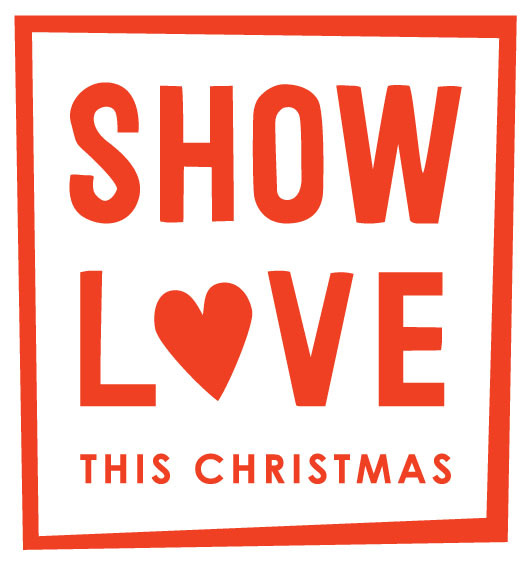 Find out more about our ‘Show Love This Christmas’ campaign for ideas on how you can make a difference this Christmas. Subscribe to our monthly newsletter here!